Contains all 26 episodes of the TV series, the Prince of Darkness movie, and an entire DVD of extras including the Gekigangar 3 OVA! Tatsuo Sato's Comedy Masterpiece Returns in High Definition! 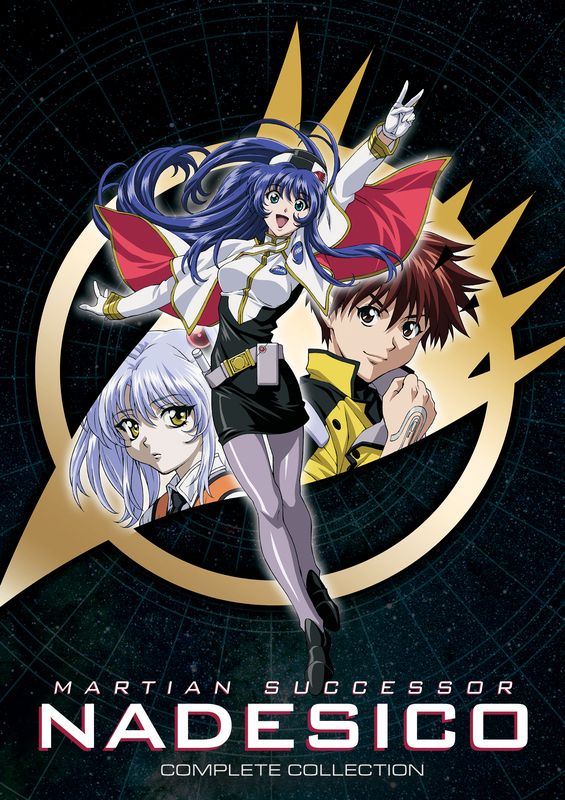 Special Features: Clean Opening, Clean Ending, TV Spots, Trailers, Interviews with Actors and Staff, "Welcome to Belle Equipe" featurette, "Nadesico Sorekara" special, and a music video. DVD sleeve is too small for the case used, but other than that it's great. I docked it a star because they retained the horrendous ADV English track. They have Akito Tenkawa sound like a blubbering wimp, when he should sound more dignified (i.e. Goku). The English voice of Yurika was no better! At times, her voice comes off like a hyperactive high school girl who just downed a half-dozen triple expressos , to the point of annoyingly unlistenable. The only English voice that works as far as the main characters go is that of Ruri, it just fits perfectly for her personality! Maybe theyshould re-do the entire English dub, or just release it Subtitled. But, that is why we have choices. We can watch it either subbed or dubbed. Don't let a bad dub stop you from buying this delightful series. It's got the right amount of heart, humor, action.....all the stuff that paves way for similar anime like Vandread. Nonetheless, major kudos to RightStuf and Nozomi to bring this back to life! This show is one of the best anime series of all time, and I'm so happy to replace my old VHS tapes of it. The fact that they've retained the old ADV dub is grest too, as it's one of my favorite dub casts. The casting of Spike Spencer as the leads just adds to the meta comedy, considering his other well known rolls. This show is a must have for any long time anime fan.